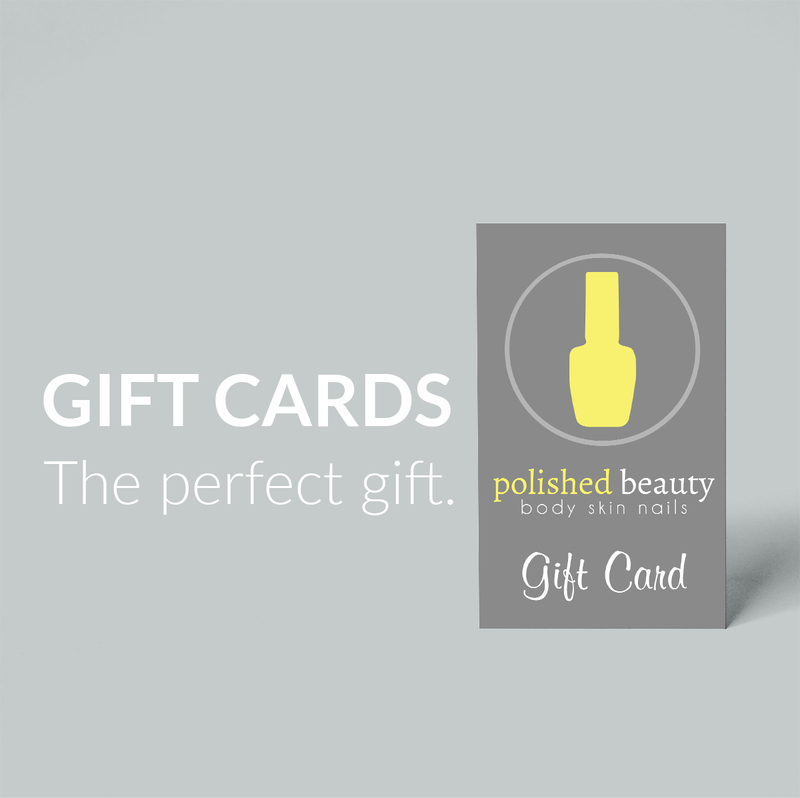 Spoil another for a special occasion or simply because you care by giving them a Gift Card from Polished Beauty. All Gift Cards come wonderfully presented in a beautiful white card with silver foil logo. Gift Cards can be mailed to the purchaser or direct to the recipient. Polished Beauty Gift Cards can be used on any service or product in the salon (not for online use). Check out our full list of services and our price list. Perfect for Birthdays, Christmas, Hens Nights, Weddings, Parties and everything else in between! Select a Value from the drop-down box and then click Add To Cart. Be sure to include the recipient’s name in the text box provided or in the notes on the checkout page. Shipping is free for Gift Cards within Australia. Alternatively, you can pick it up directly from the salon. Gift Cards are non-refundable (except where required under Australian Consumer Law). Gift Cards must be presented and surrendered on arrival.